We asked for a new brewery for Christmas and all we got is this giant empty building. If you're like us, the real Black Friday is today - the day you realize you haven't started your Christmas shopping yet, and your last chance to get it done is now. You almost start to panic, then you remember that you can get almost everything you need at the Fulton taproom -- apparel, gift packs, growlers, and most importantly, a chance to stop and enjoy a brief respite from the Christmas frenzy over a pint with friends. Our taproom is open normal hours this weekend. After that, our holiday hours are: December 23rd: 3-6 pm (growler & merchandise sales only; no bar sales) December 24th: 12-4 pm (growler & merchandise sales only; no bar sales) December 25th: Closed December 26th – 28th: Open; normal Thursday - Saturday hours December 29th – 31st: Closed January 1st : Open 3-10pm; normal Wednesday - Saturday hours return. You can also check out our taproom calendar for hours and the food truck schedule. 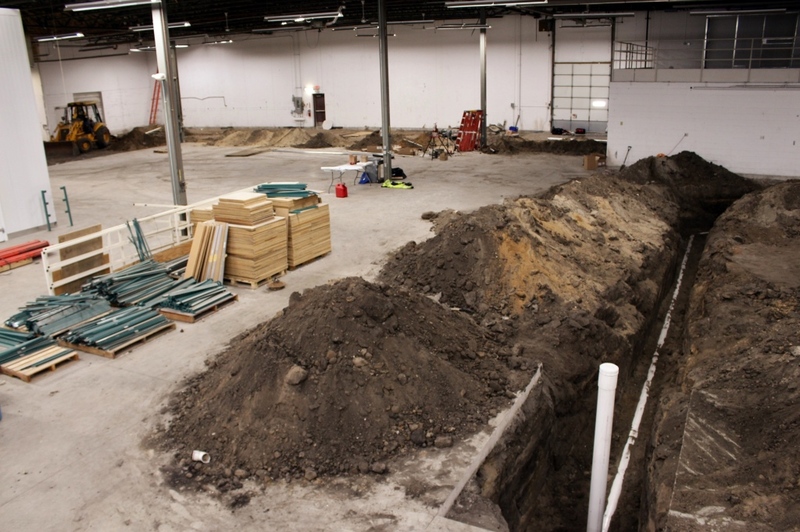 We're not to the exciting part just yet, but we're making great progress on our new brewery in Northeast Minneapolis. November and December have been busy preparing for our equipment to arrive. 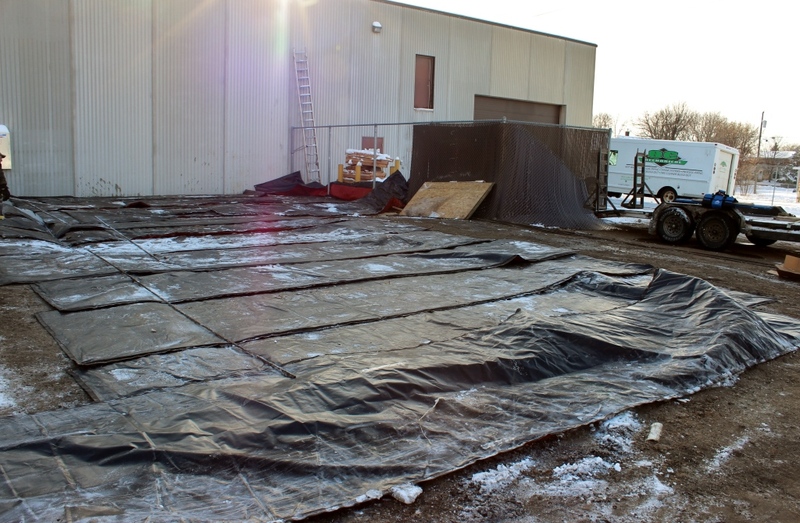 Our contractors have removed concrete, excavated dirt, installed drain pipe and electrical runs, and poured new concrete outdoors for our new glycol chiller and C02 tank. In January, we'll be pouring new concrete and installing tile in our brewhouse, fermentation, and packaging line areas. Beginning in February, equipment starts to arrive. The cellar tanks will come first, followed by the brewhouse and bottling line over the next couple months. After that, it'll be a marathon couple of months as we start to piece everything together. We'll have much more info to come in the upcoming months - for now, enjoy some photos of the progress. WORTHY ADVERSARY: THIS WEEKEND, AND ONWARD. The Worthy Adversary needs no introduction, but gets one anyway. First, we'd like to apologize. We have been bottling Worthy Adversary all week, and we think that may be partially to blame for the present winter storm and pending cold snap. So, sorry about your commute and we hope your snowblower started okay. On the brighter...errr, darker side: you can get your first Worthy Adversary of the season starting on Saturday. When the taproom opens at noon, growlers will be for sale ($18/fill) and the taps will be flowing ($5/12 oz pour). If you haven't had Worthy Adversary before, let us introduce you: it's our winter seasonal, a Russian Imperial Stout. It's rich, roasty, and almost 10% ABV. It's delicious on its own, an almost-too-obvious dessert pairing, and a surprisingly superb match for (or ingredient in) many savory dishes. Starting on Monday, Worthy Adversary kegs will be flowing into bars and restaurants and 750mL bottles will start appearing on liquor store shelves. We brewed more of it this year than ever before, so just like the winter weather, the Worthy is here for the long haul. NEED A GIFT FOR THE CYCLIST ON YOUR LIST? Designed by our friends at Twin Six and Made in the USA, we have these sleek cycling jerseys in both Men's and Women's sizes. Made of Coolmax fabric, we've found that our cycling socks are great not just for cycling, but really for any activity that you want to keep your feet cool, dry, and looking good -- which is to say, almost anything. It's a water bottle. What else do you need to know?